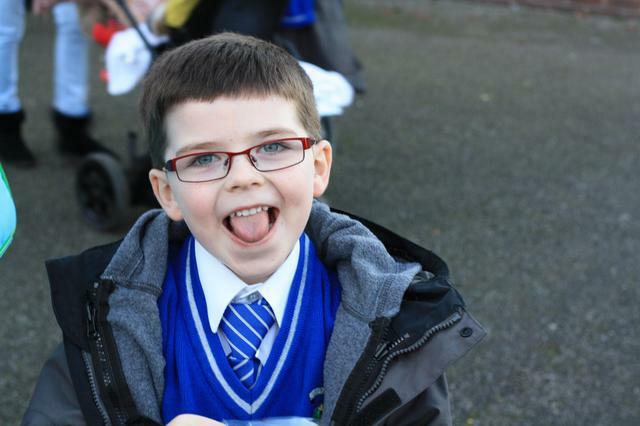 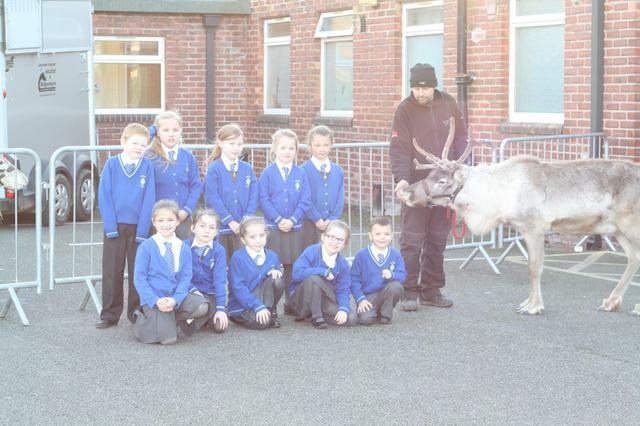 What an exciting day it's been at St Aloysius! 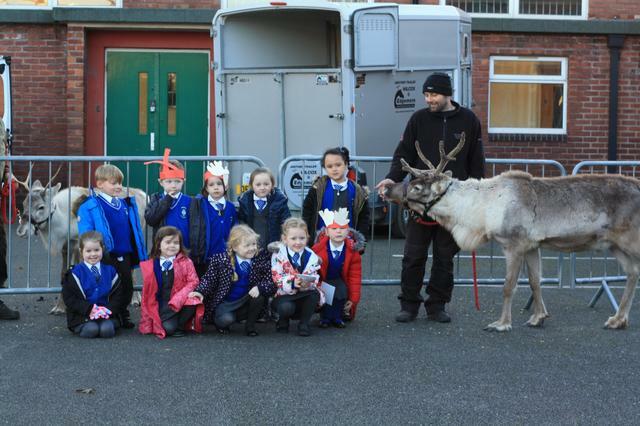 Today, some of Santa's special four legged friends came to visit us at school. 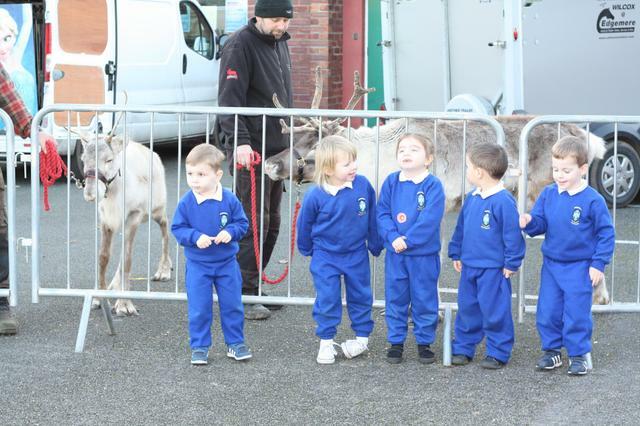 We were so excited to meet his reindeer, and we had our photograph taken with them, we got to feed them and we got to pet them. 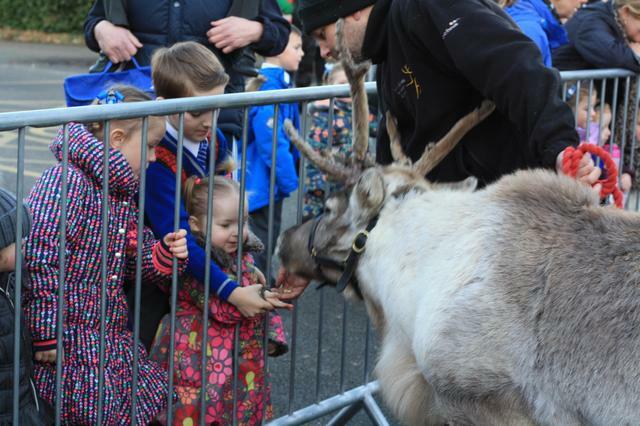 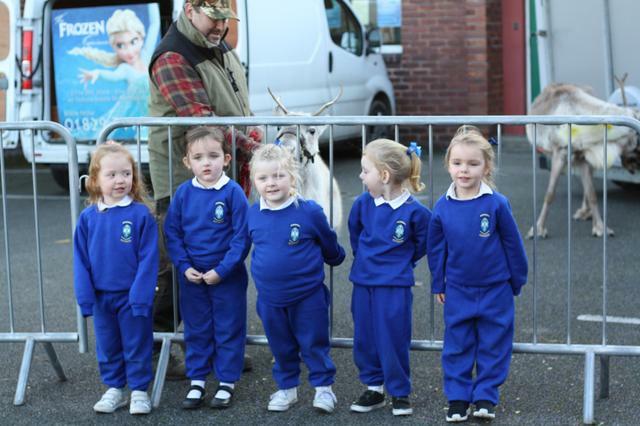 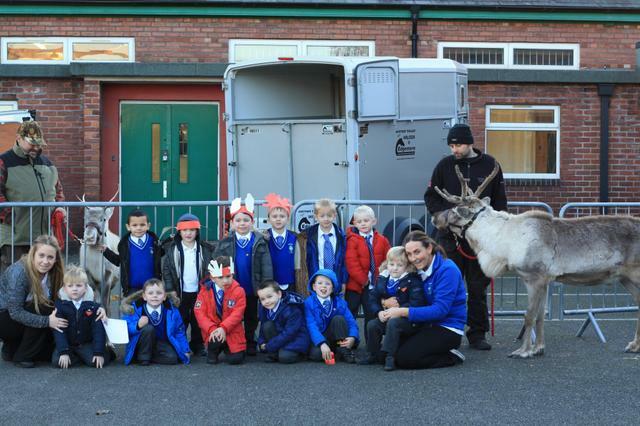 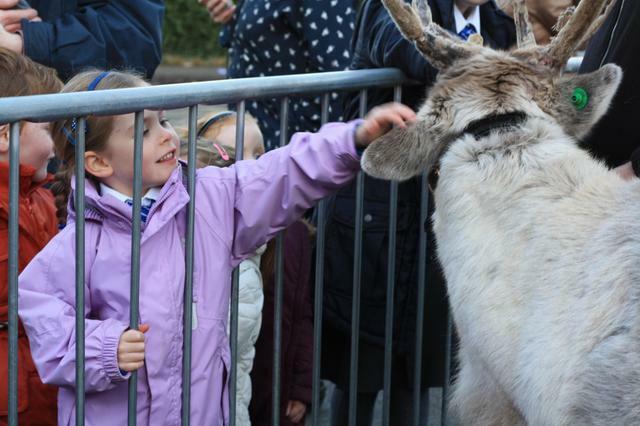 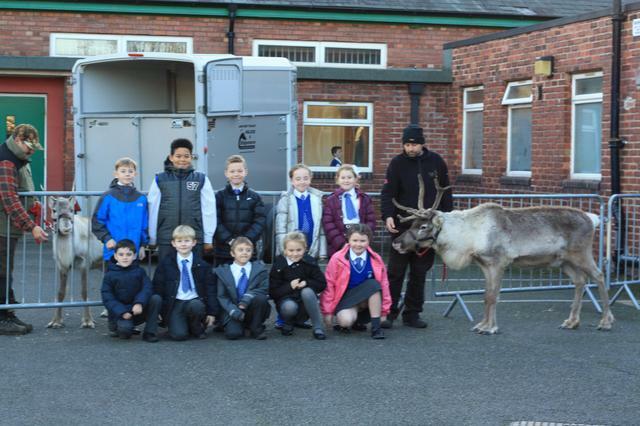 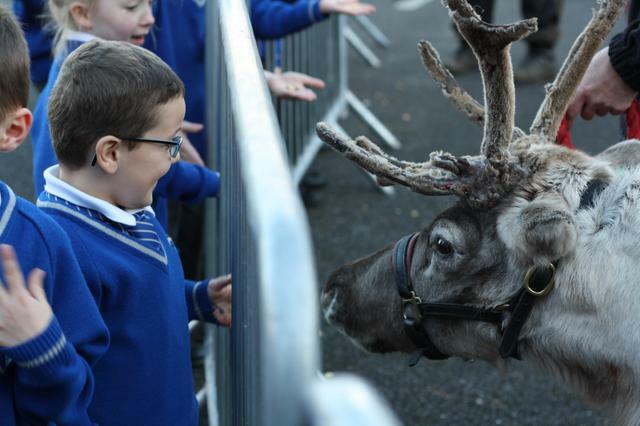 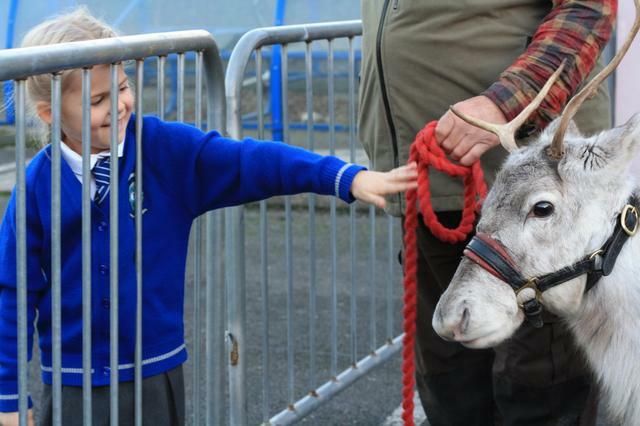 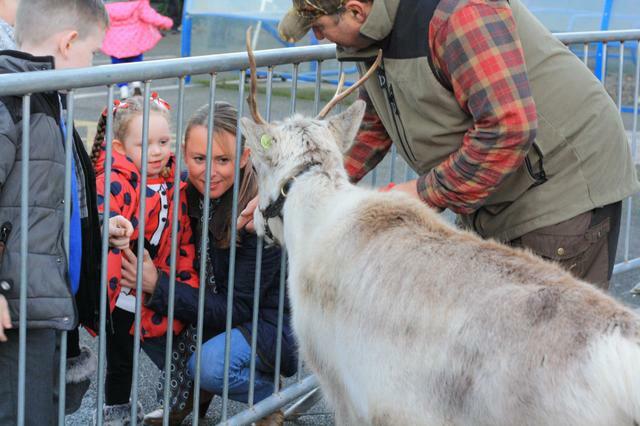 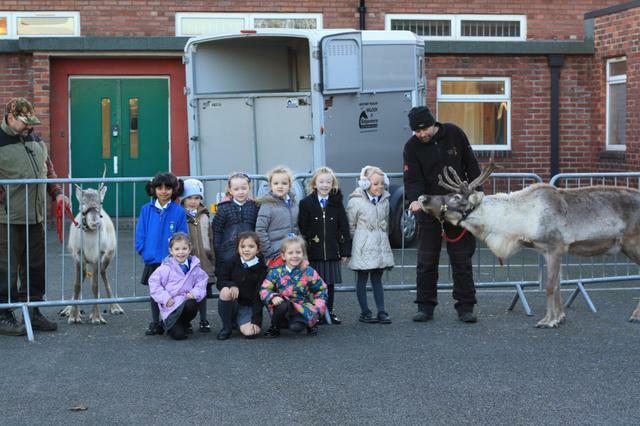 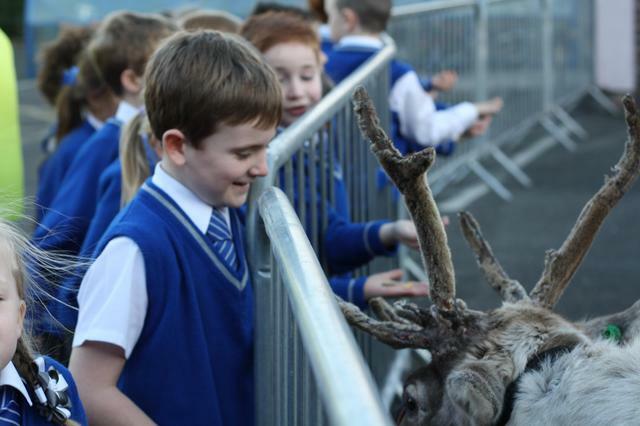 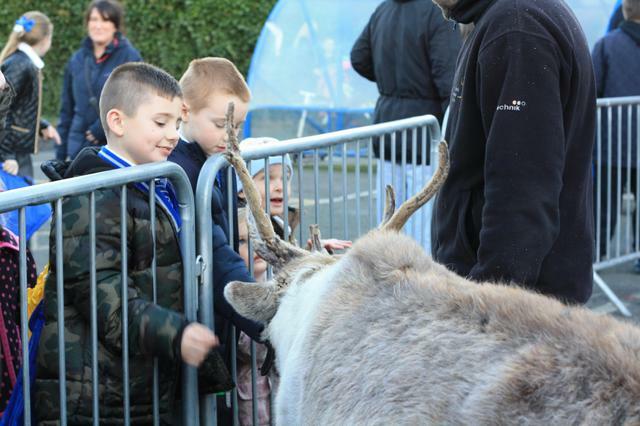 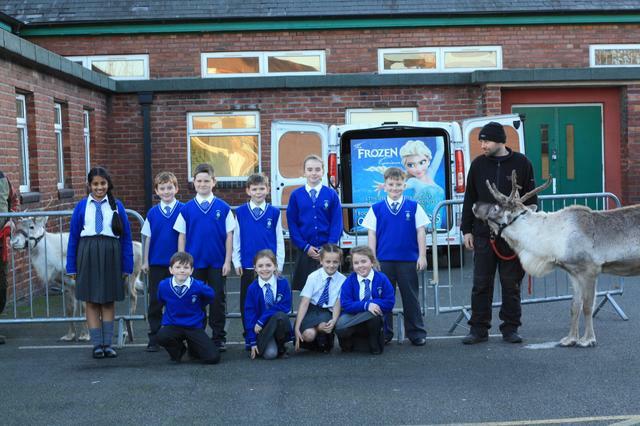 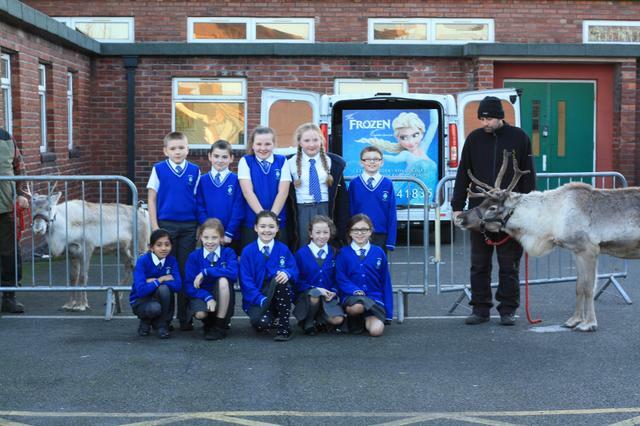 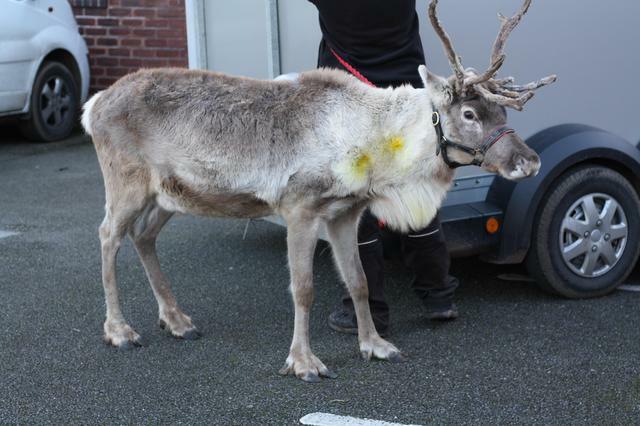 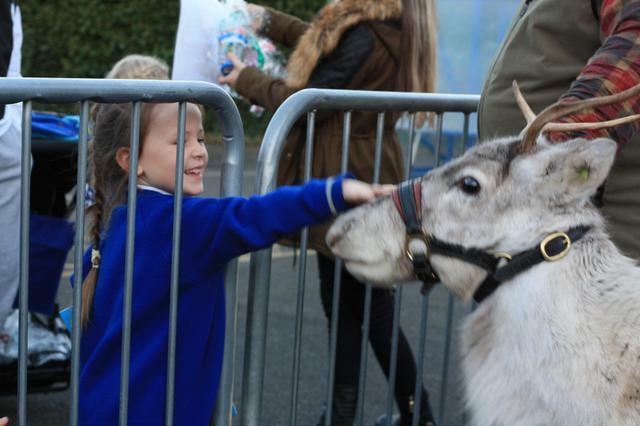 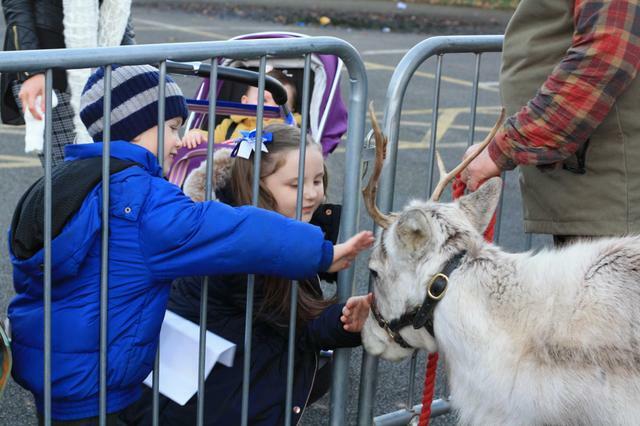 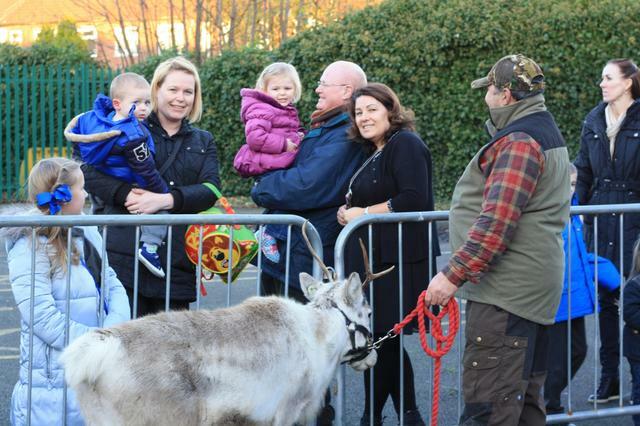 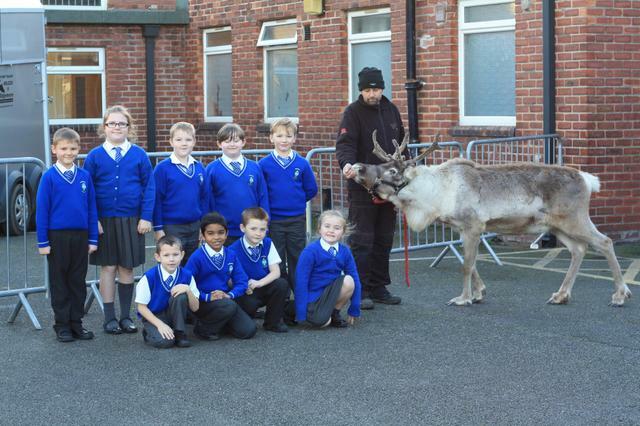 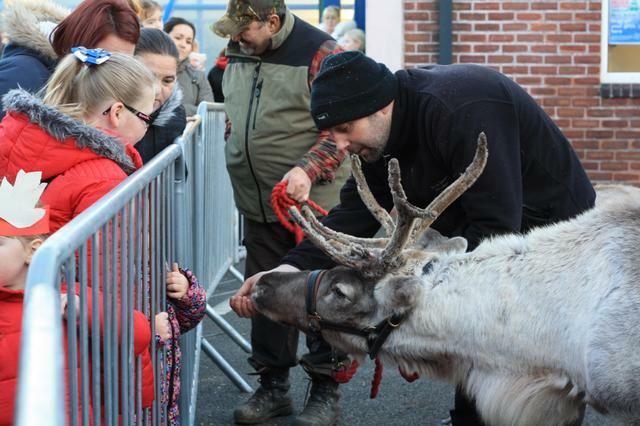 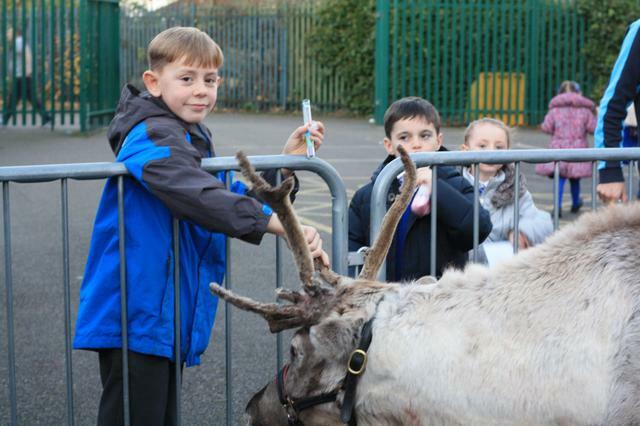 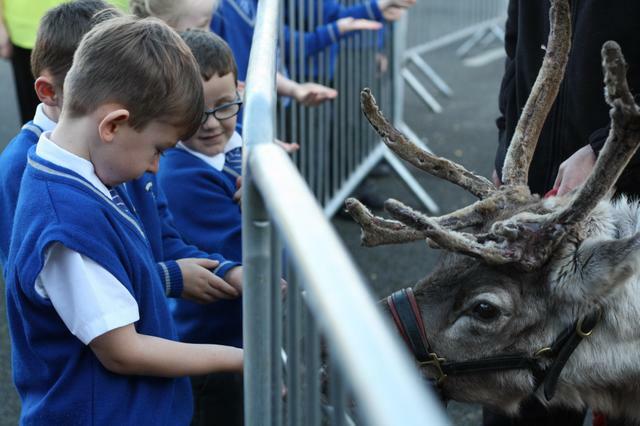 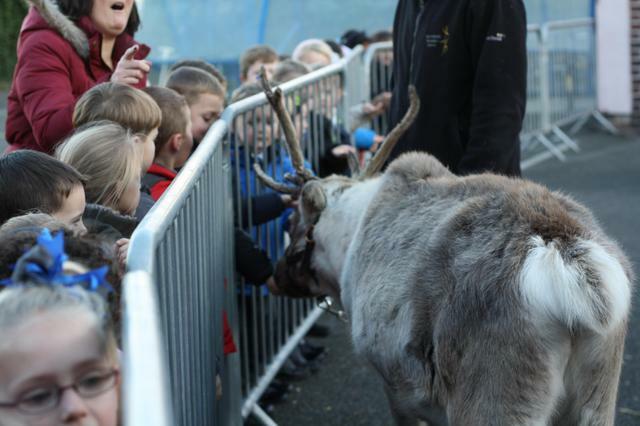 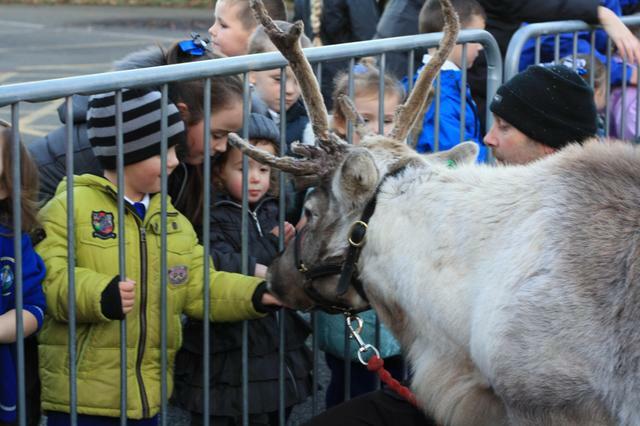 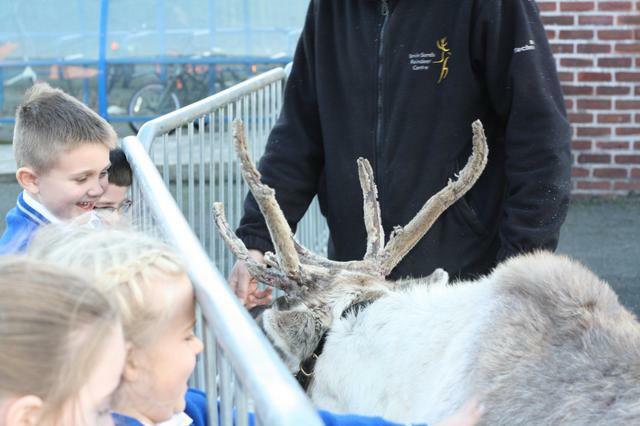 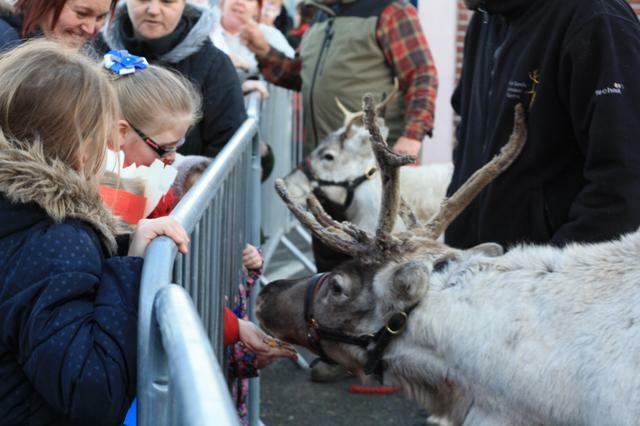 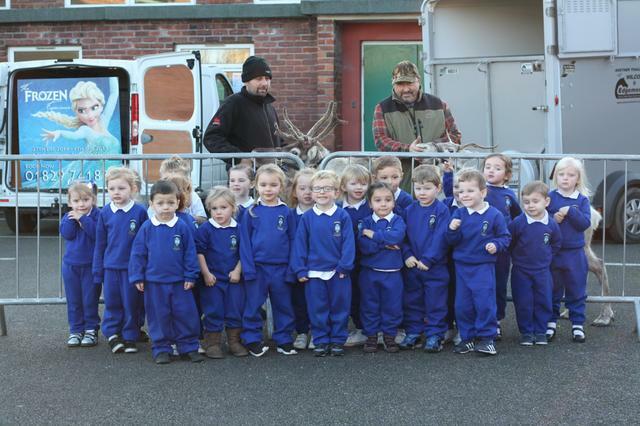 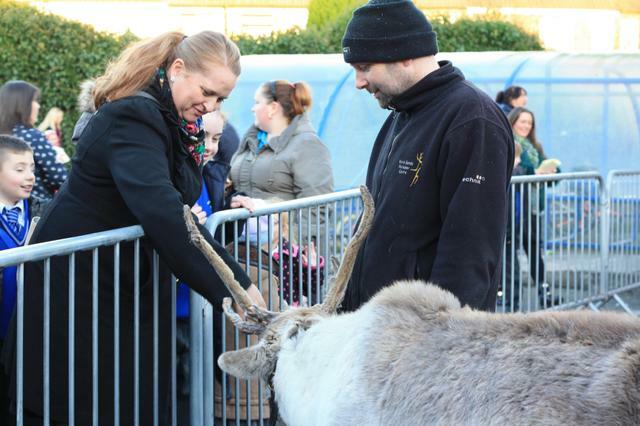 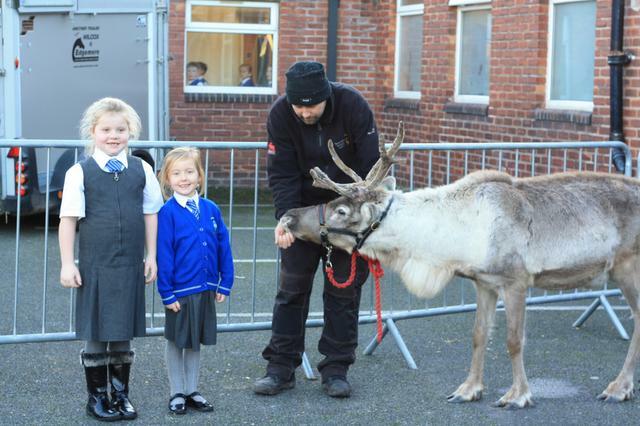 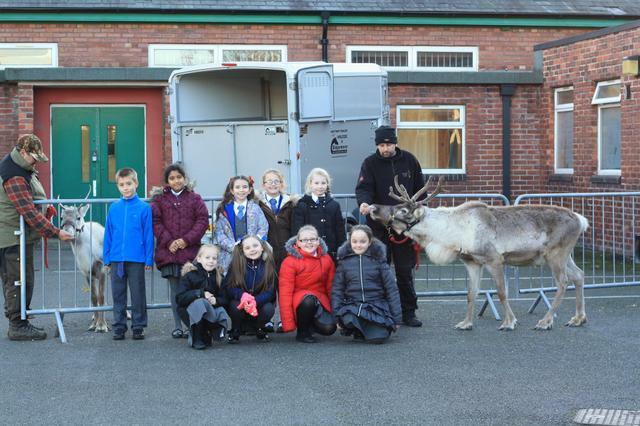 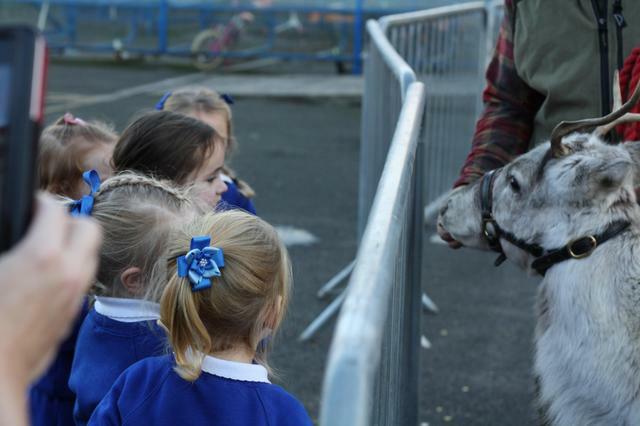 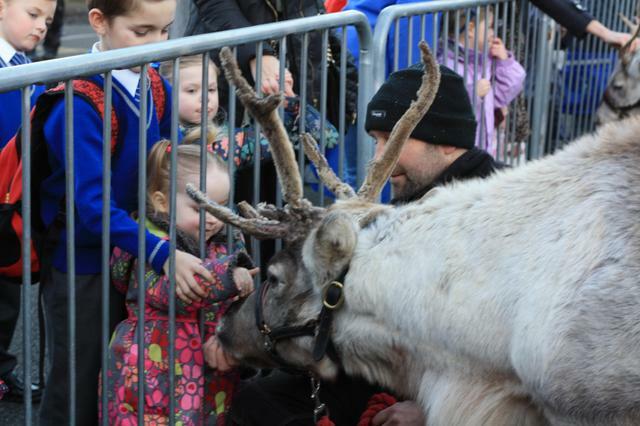 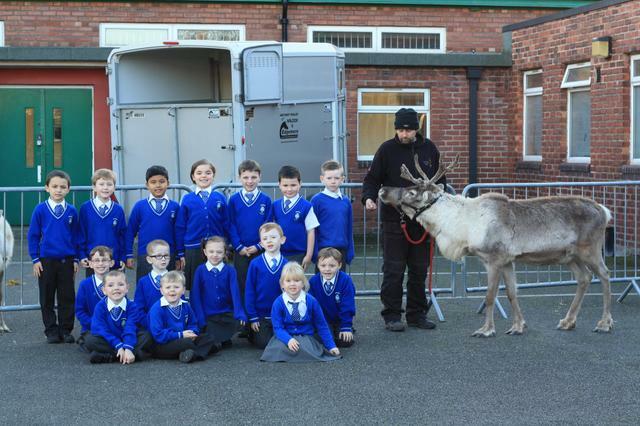 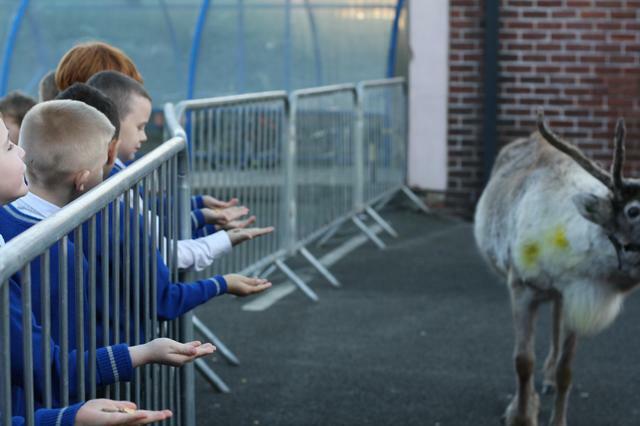 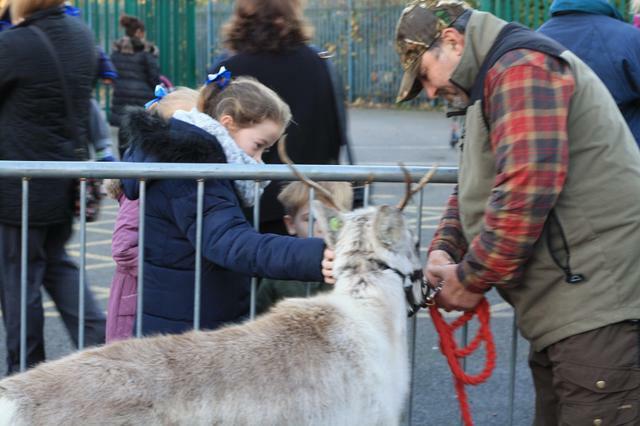 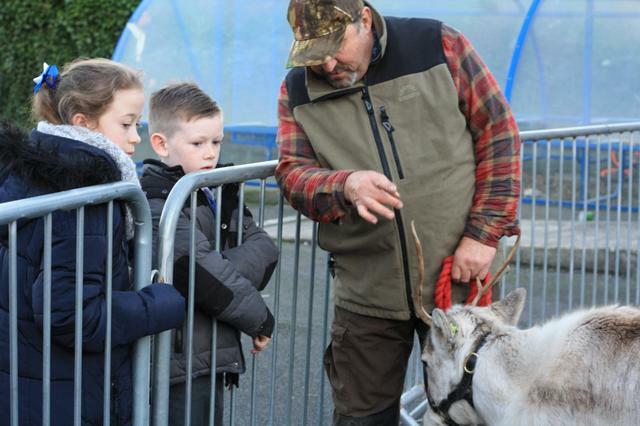 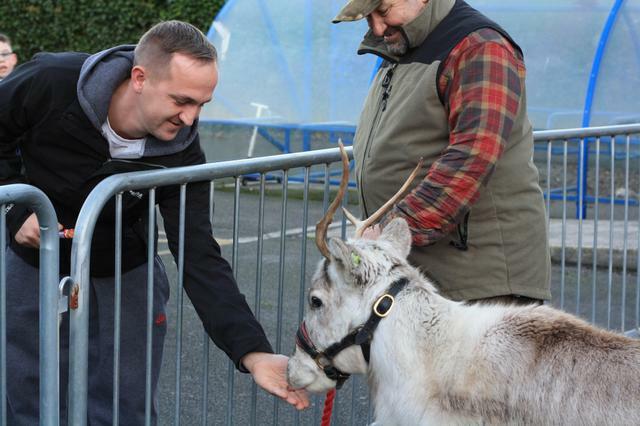 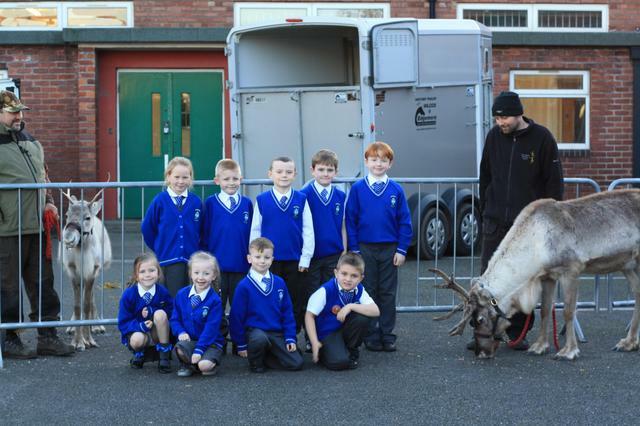 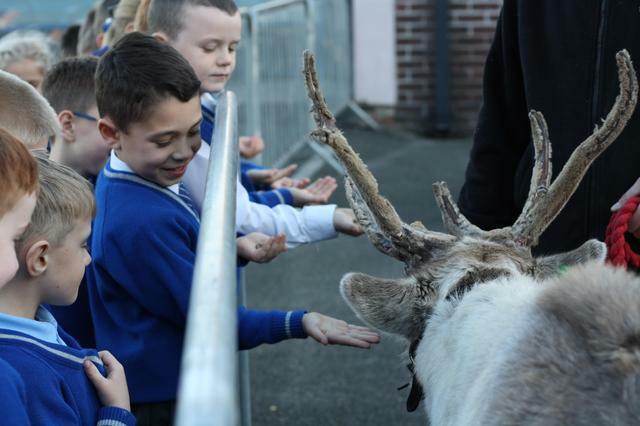 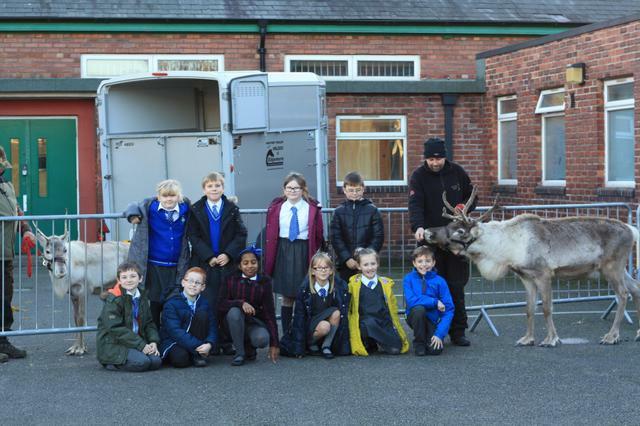 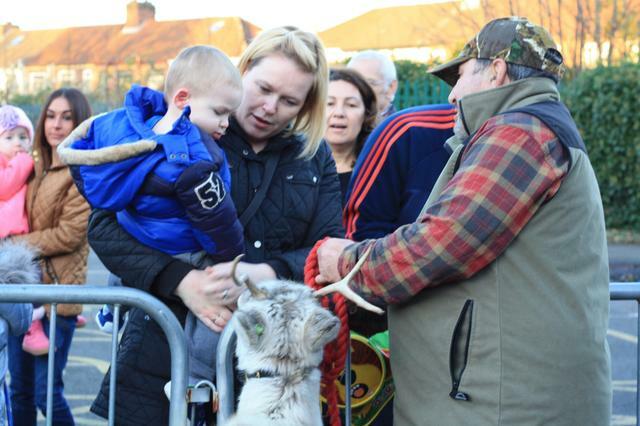 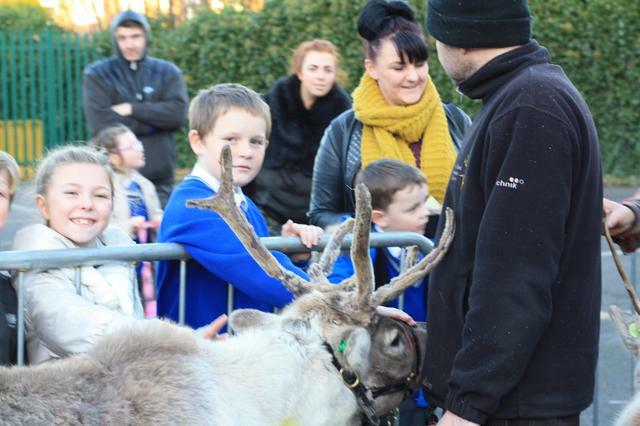 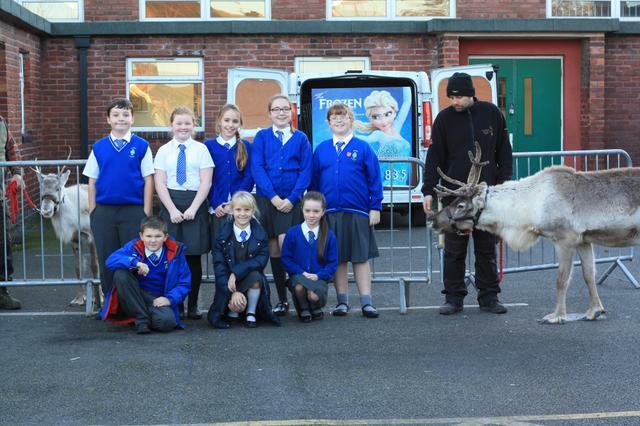 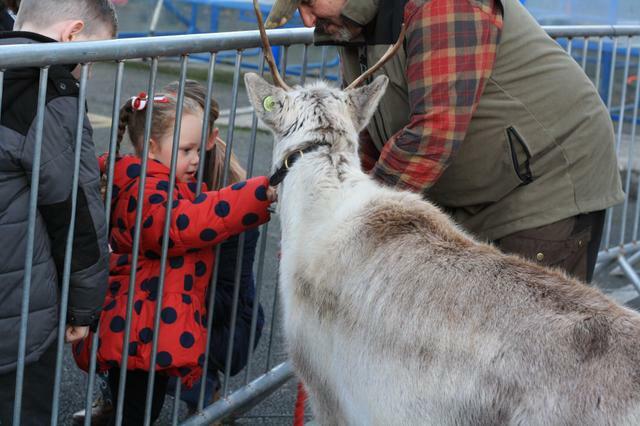 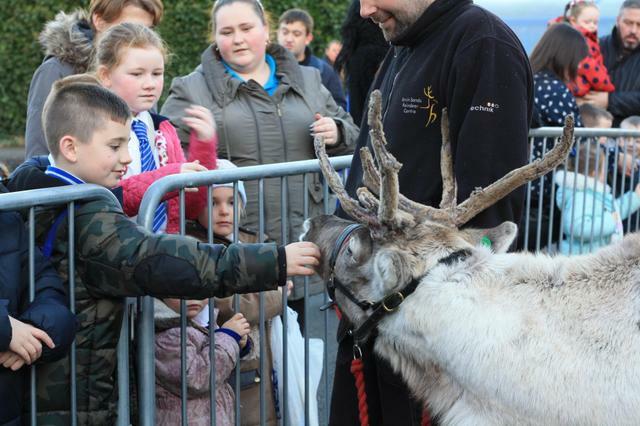 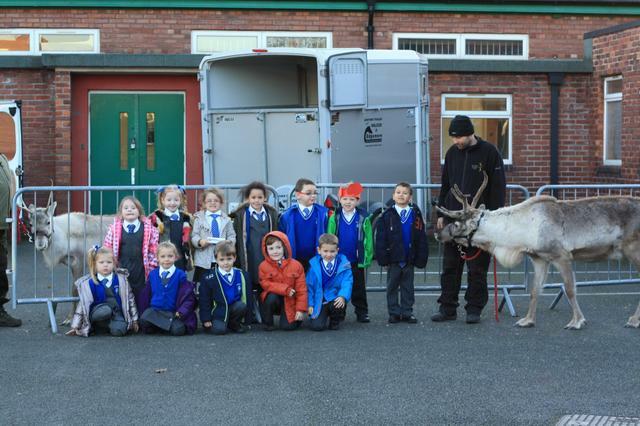 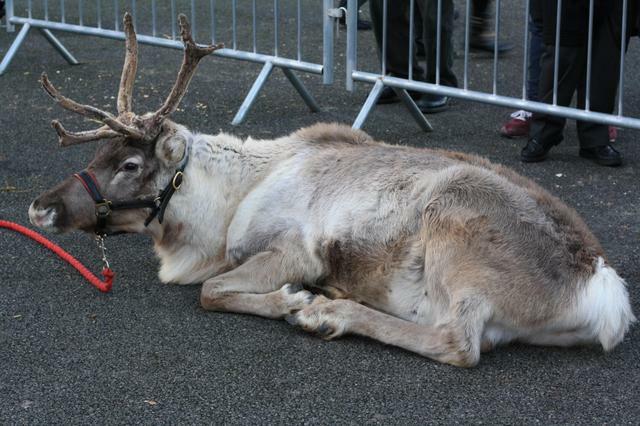 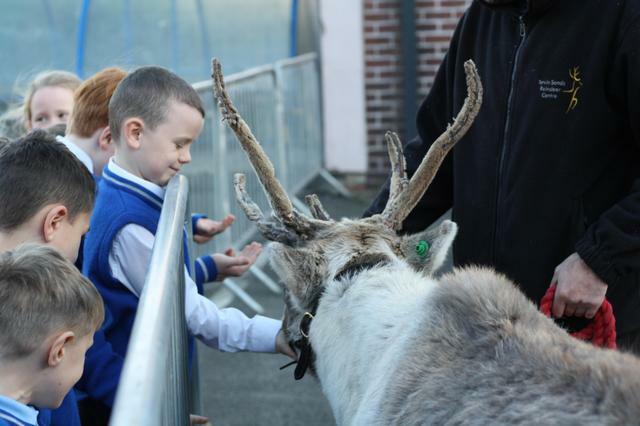 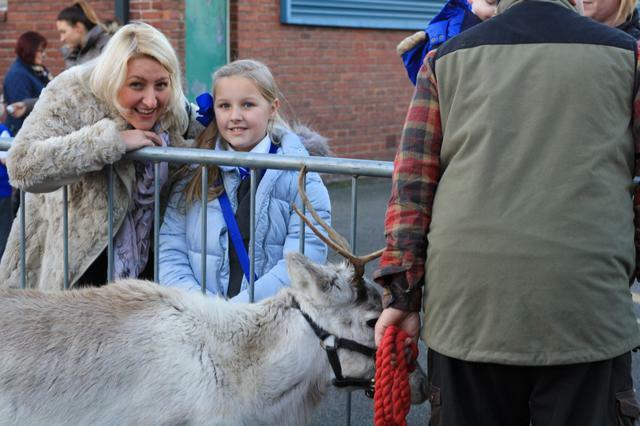 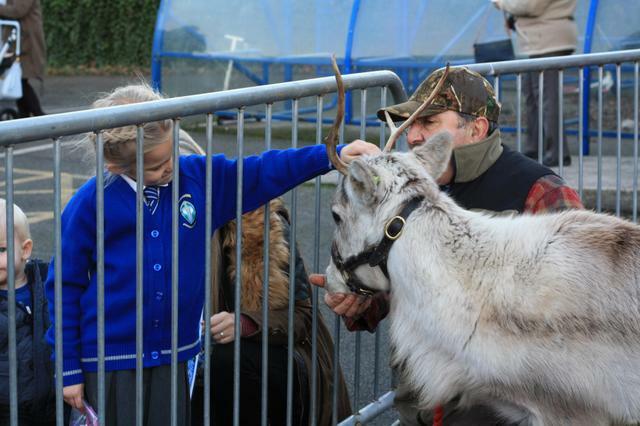 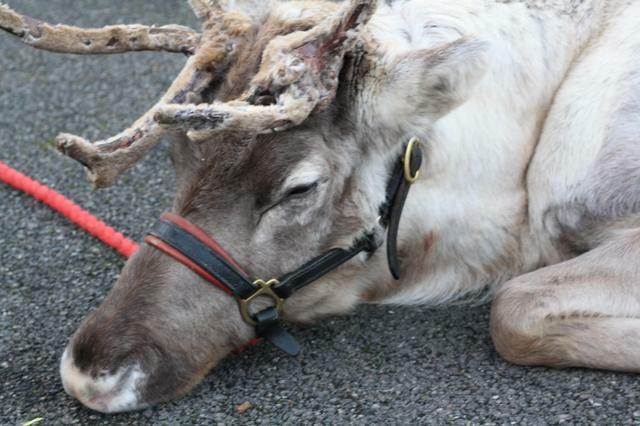 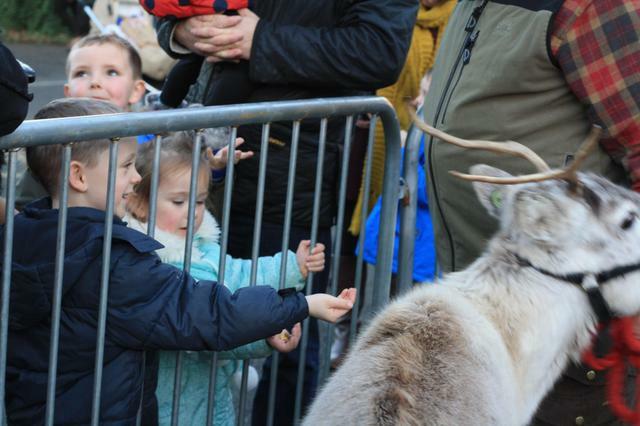 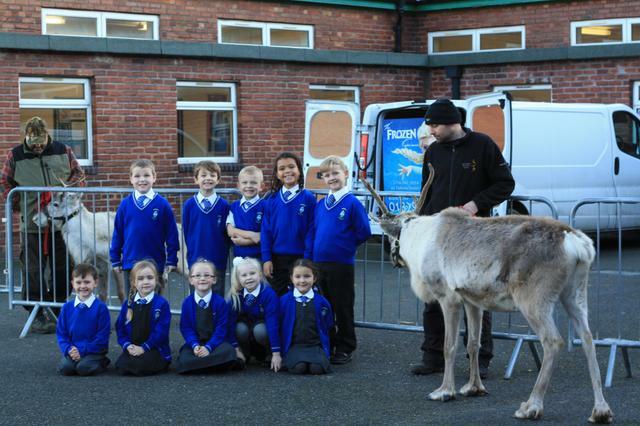 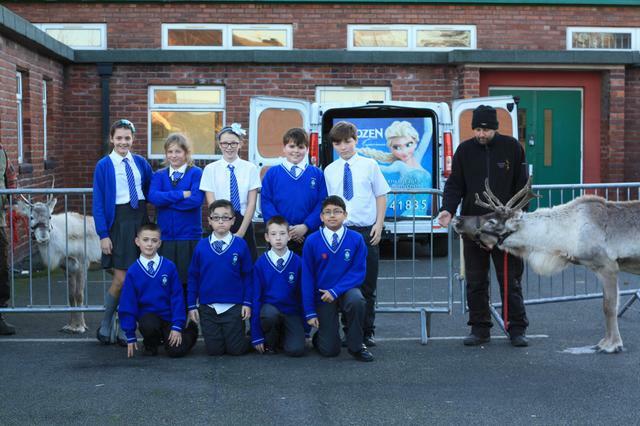 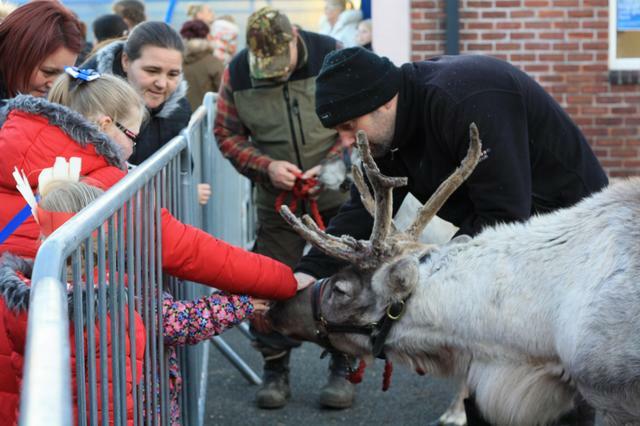 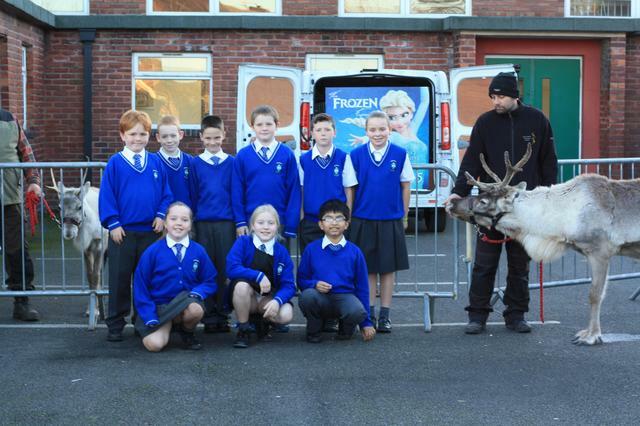 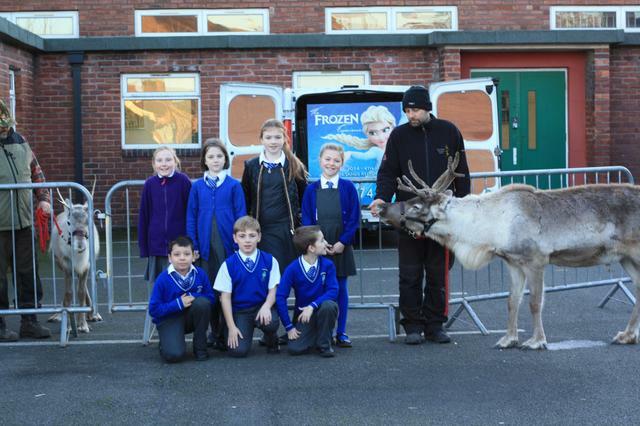 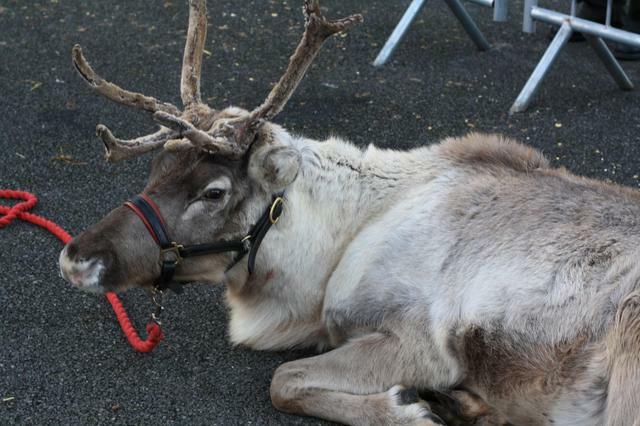 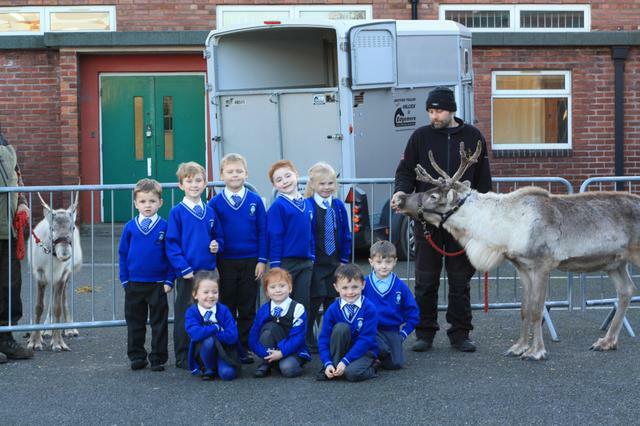 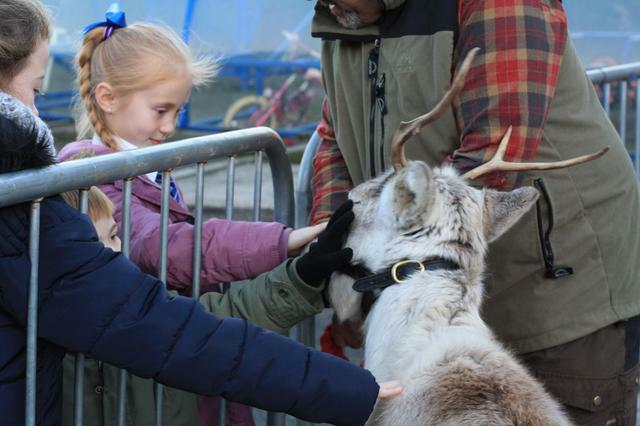 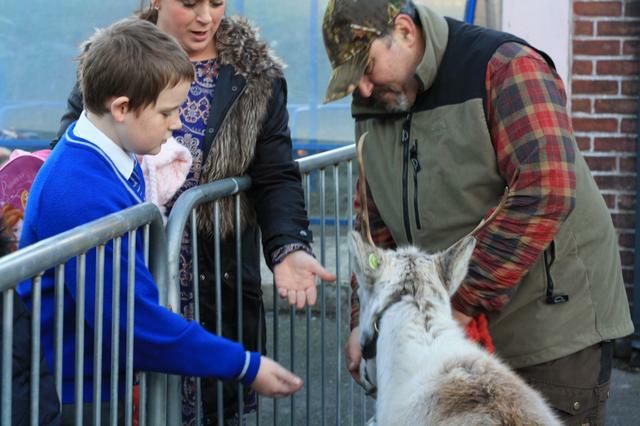 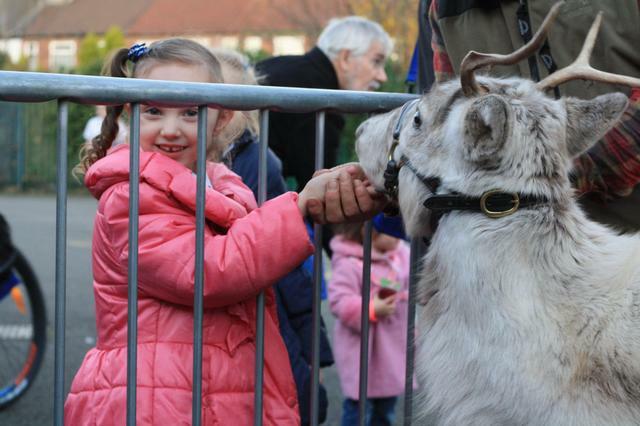 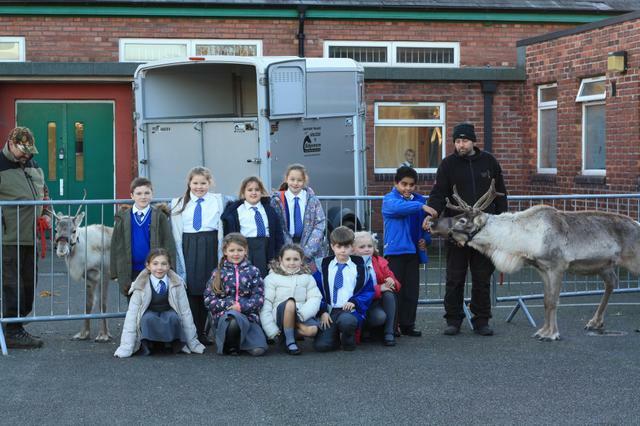 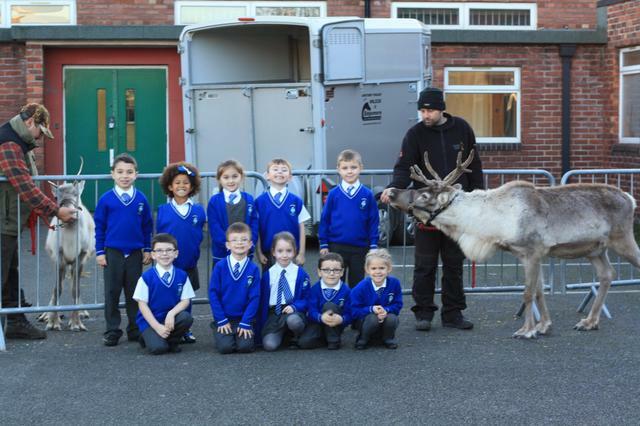 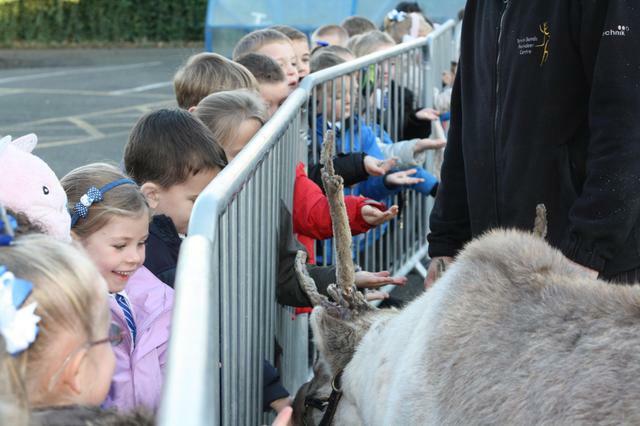 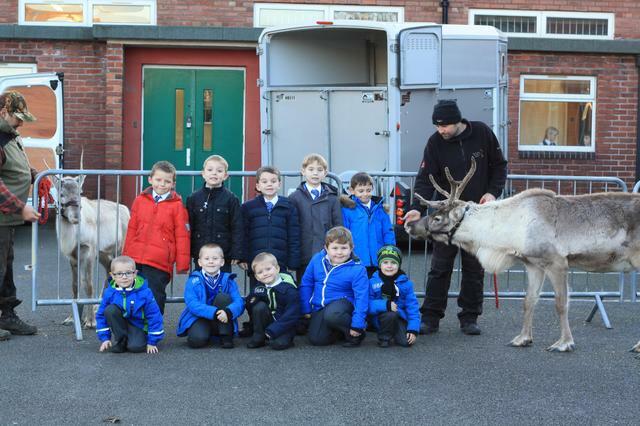 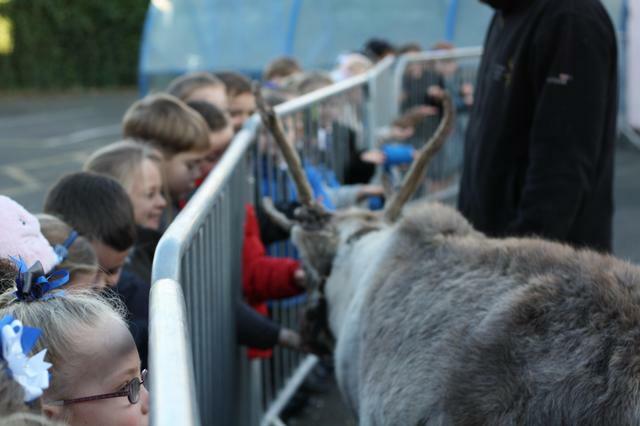 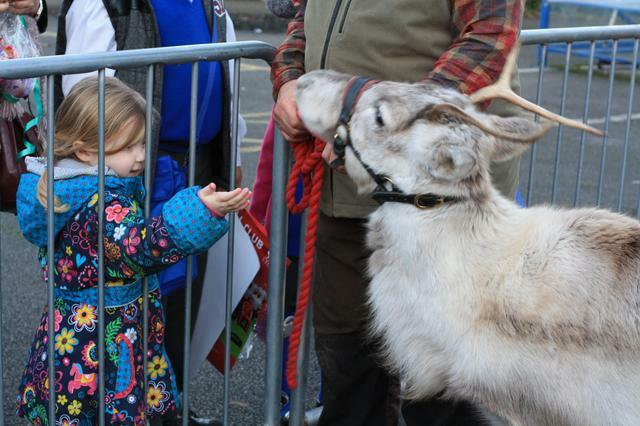 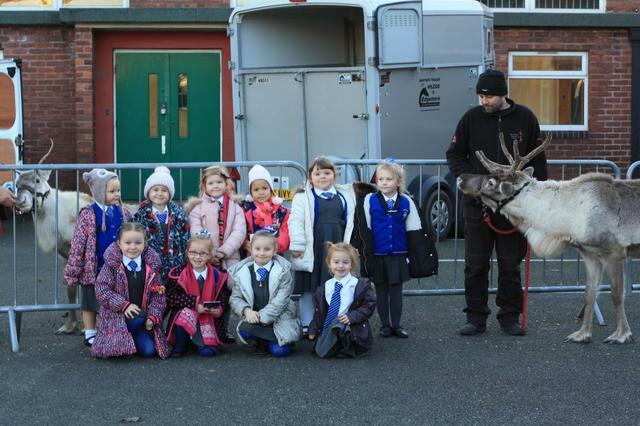 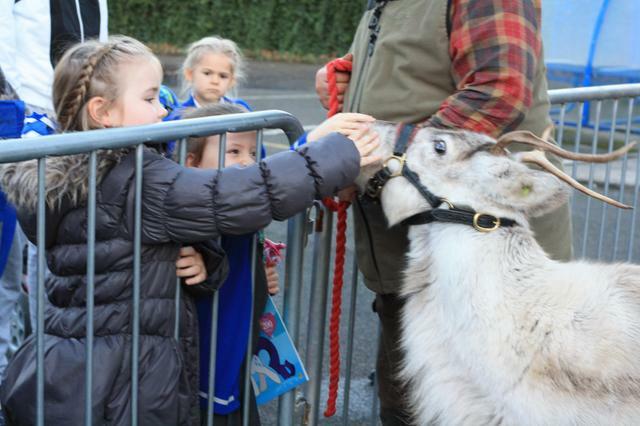 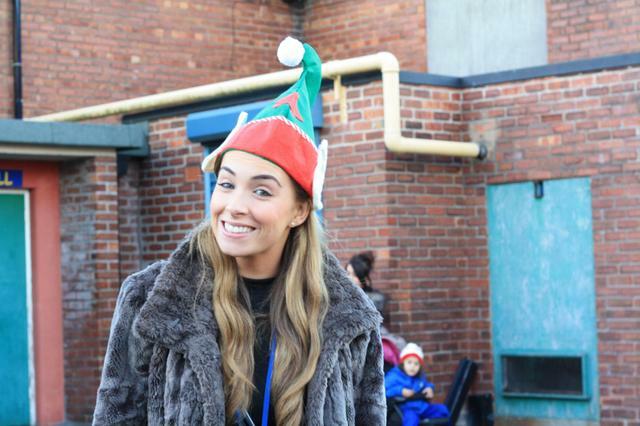 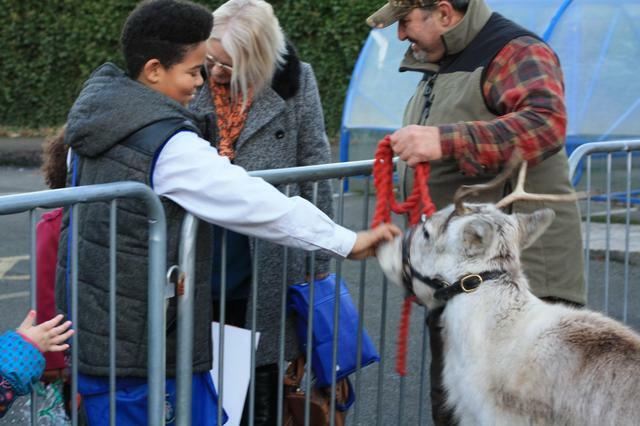 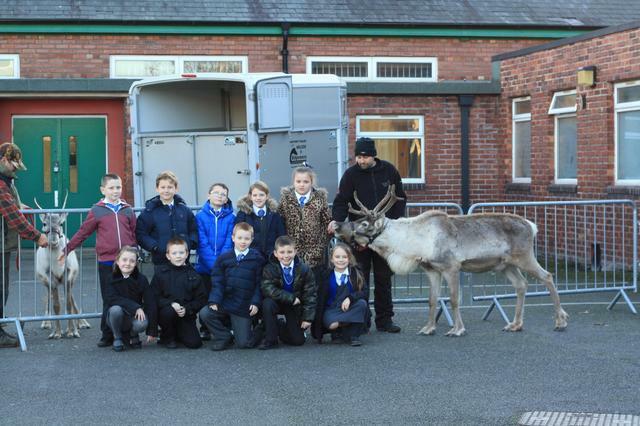 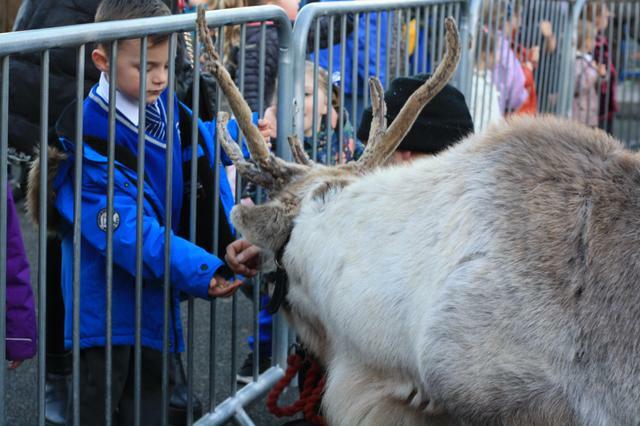 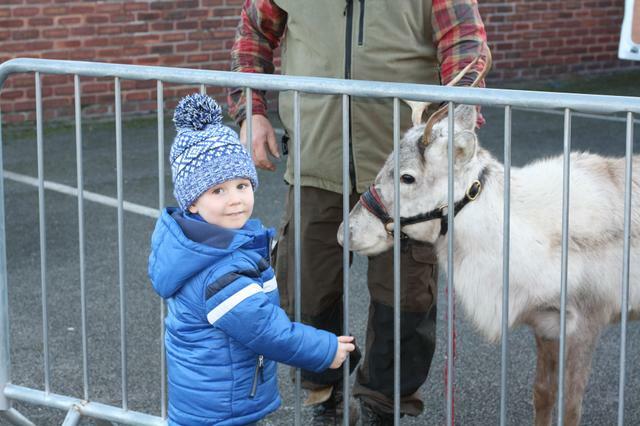 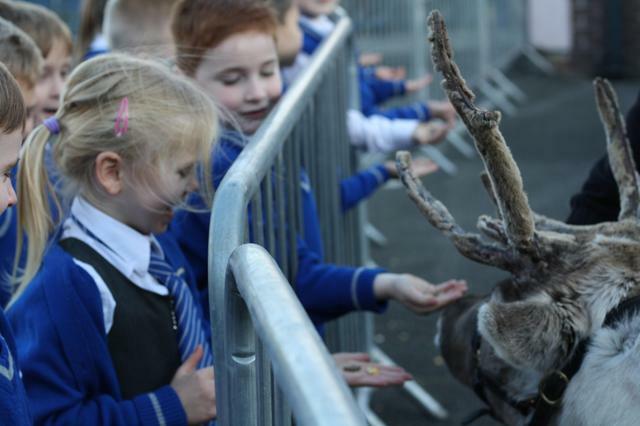 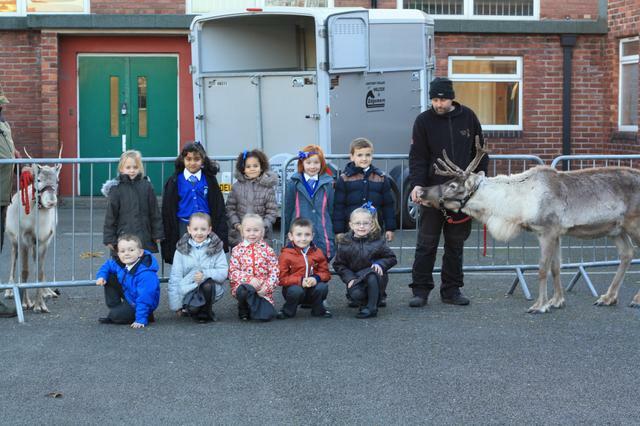 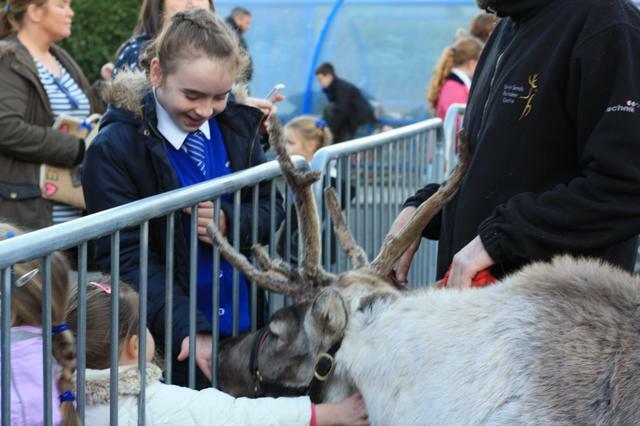 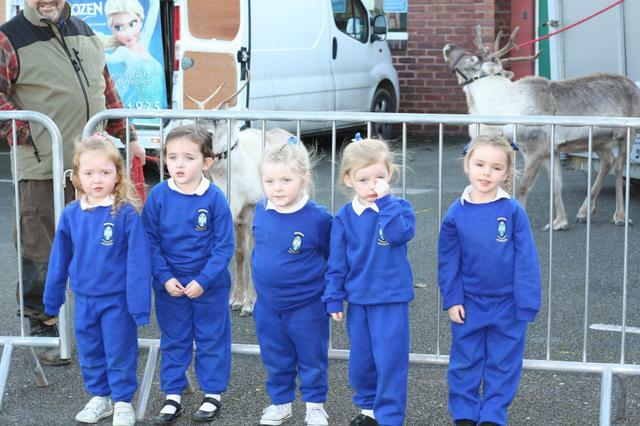 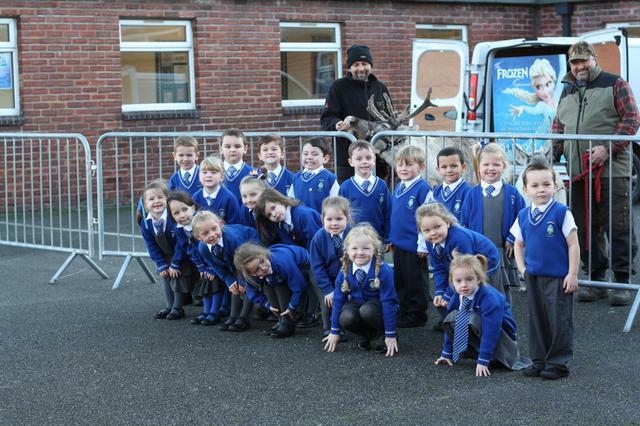 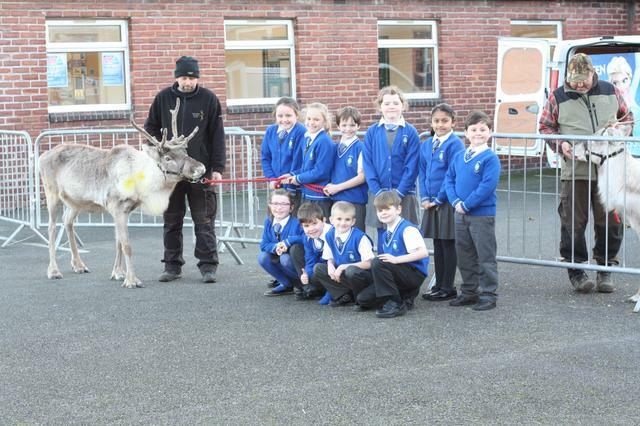 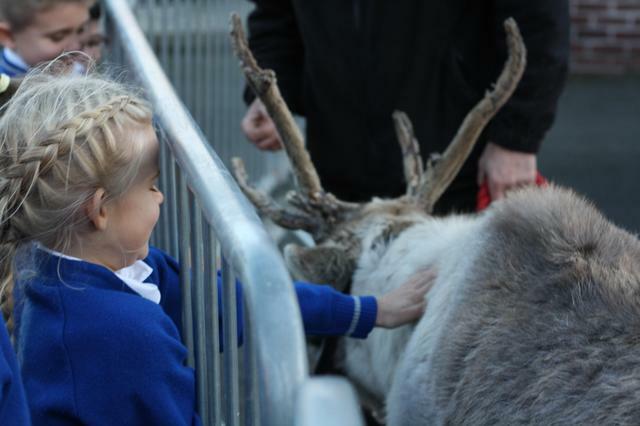 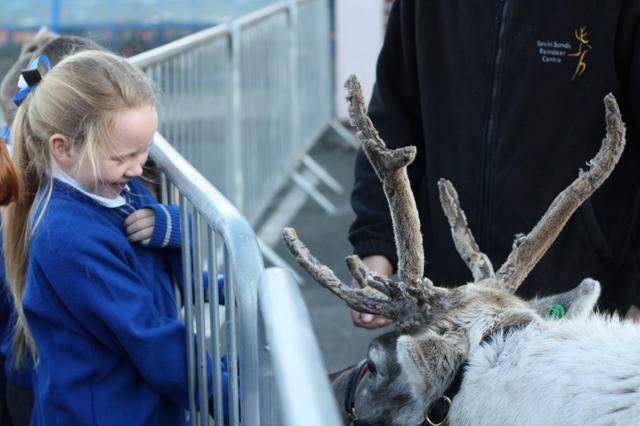 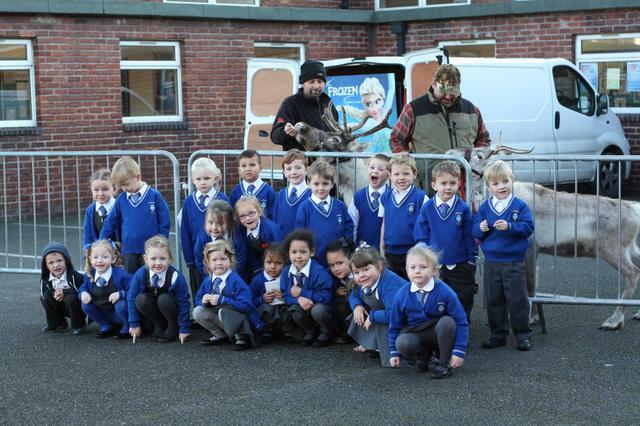 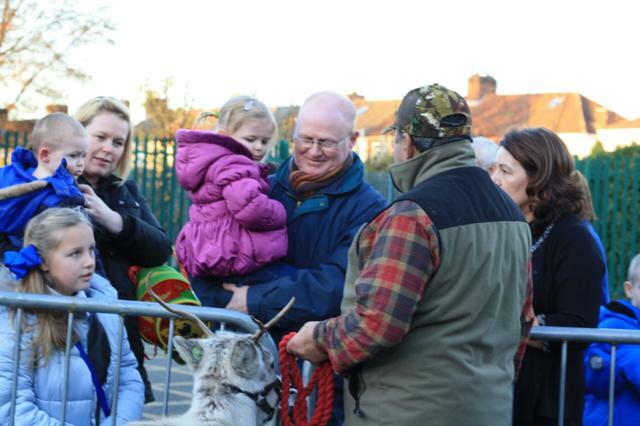 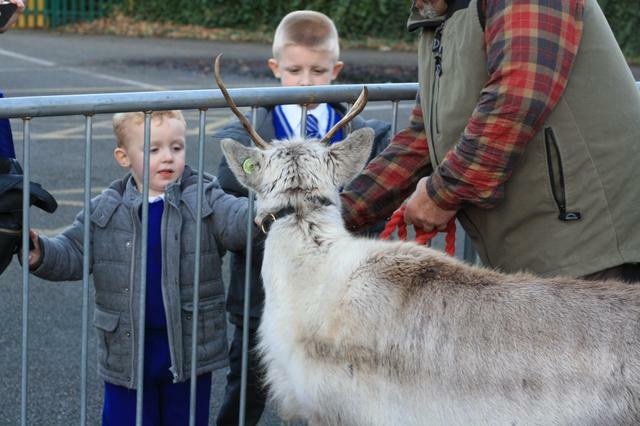 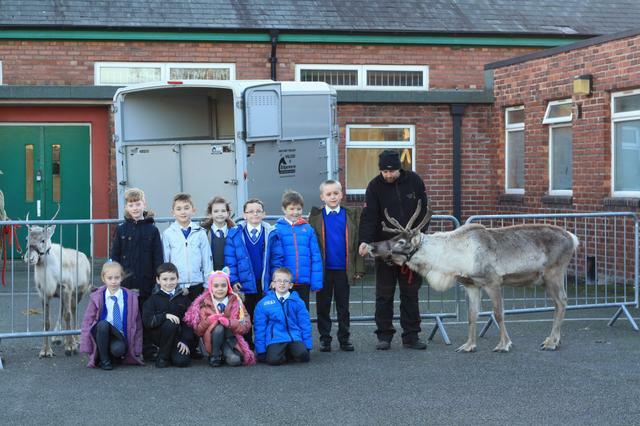 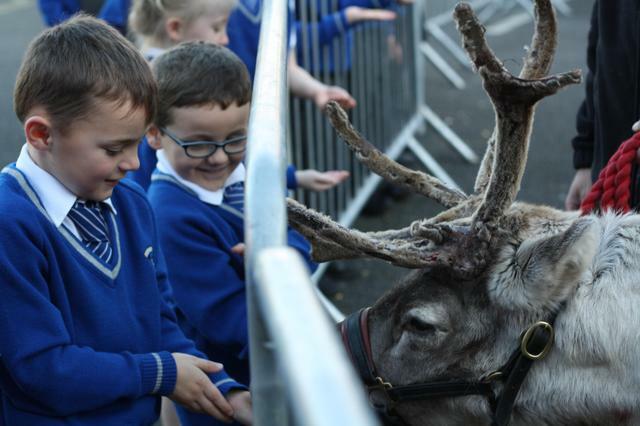 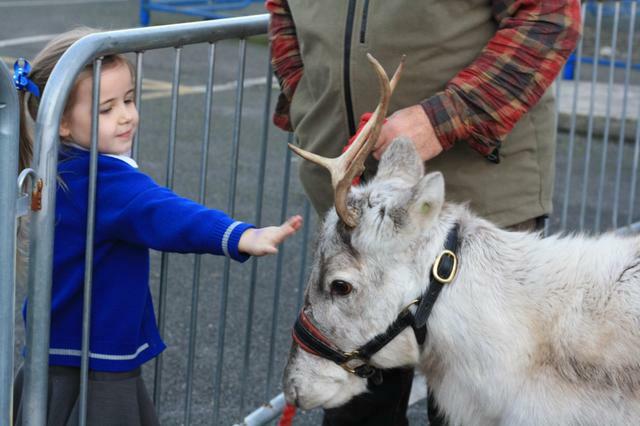 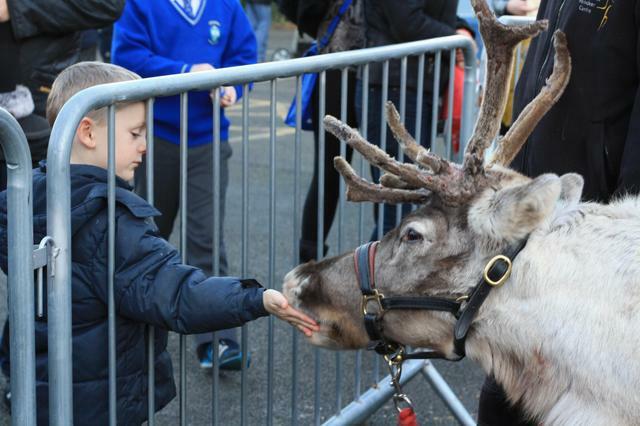 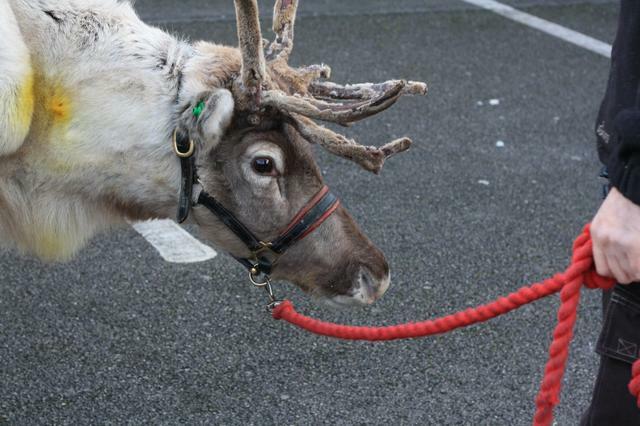 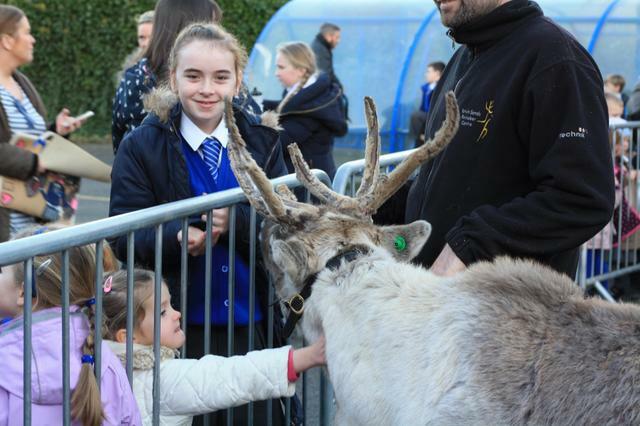 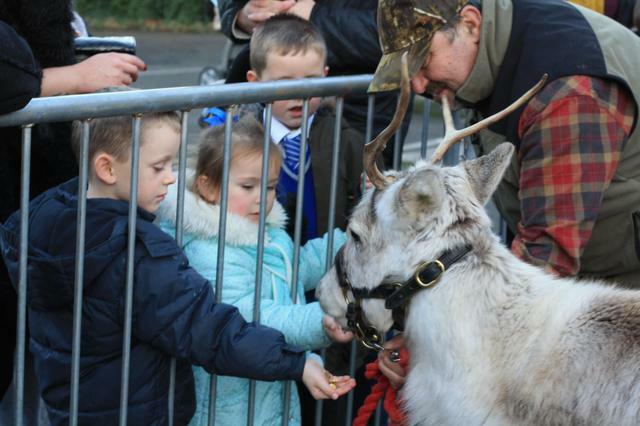 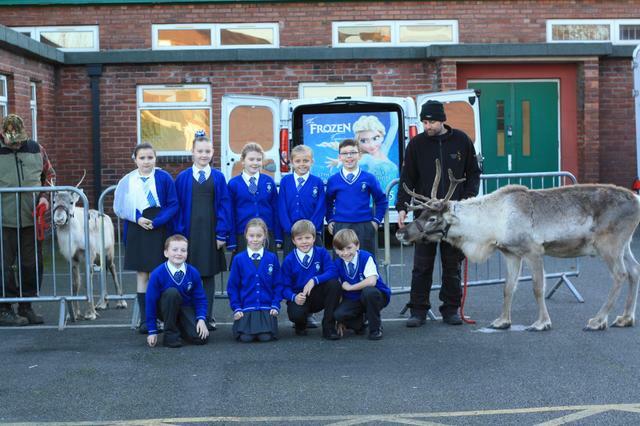 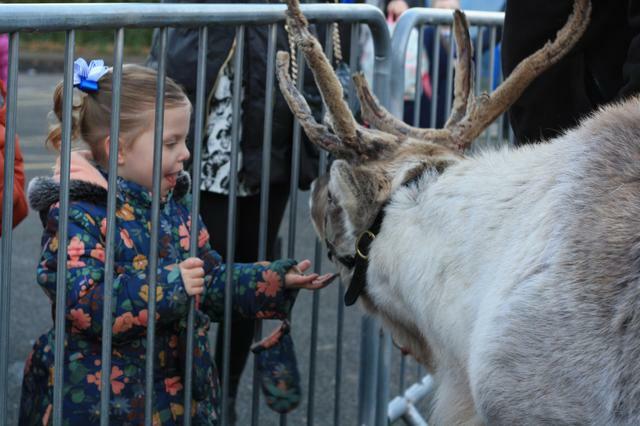 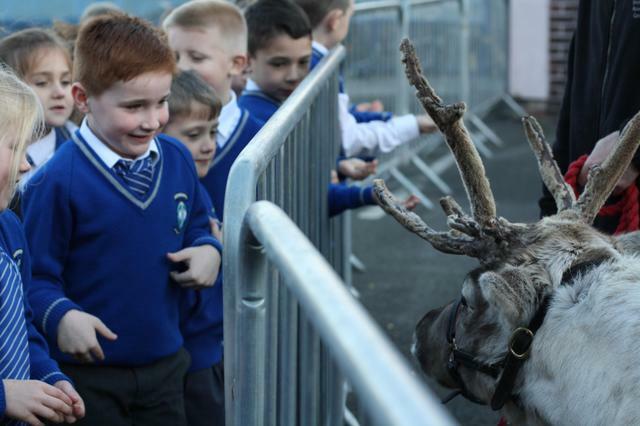 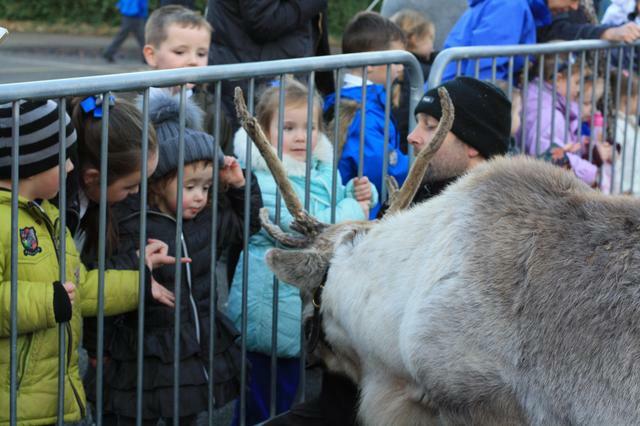 This was such a special opportunity for the children and they were amazed to meet real reindeer from the North Pole!